Who Doesn’t Love Something for FREE? SKIN the Spa at Runnels Center is offering a free Obagi Elastiderm eye product with every Cutera Laser Genesis treatment ($104 value). The special runs through April. The Cutera Laser Genesis treatment is often called a “complexion perfection” treatment for all skin types. It is comfortable, cost effective and requires no downtime. The Laser Genesis works by gently heating the skin, which stimulates collagen growth and reduces the size of dilated capillaries. 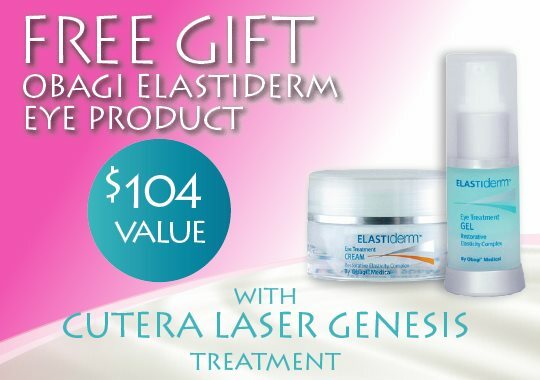 The special offer includes a free Obagi Elastiderm eye product that comes in a cream or gel. This one-of-a-kind eye product works to rebuild the appearance of youthful eyes using Obagi’s patented technology that allows for greater penetration through the skin barrier to stimulate the elasticity and resilient strength of the skin. To schedule your Laser Genesis treatment and receive your free Obagi Elastiderm eye product, call the professionals at SKIN at 601-939-2457.